November 20, 2017 Kids Post may contain affiliate links, Disclosure here. My daughter (8 years old) goes for bright colors, loves to mix + match prints and chooses comfort throughout the year. 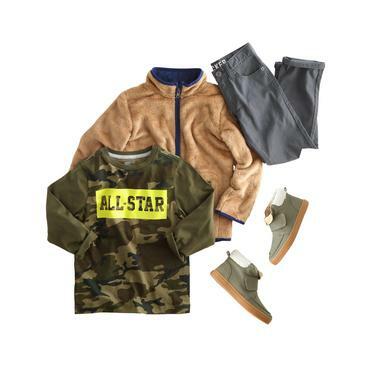 My son (6 years old) somehow knows that camo is in this fall/winter season – he’s crazy for camo. Free shipping on any order, no minimum – for a limited time only!